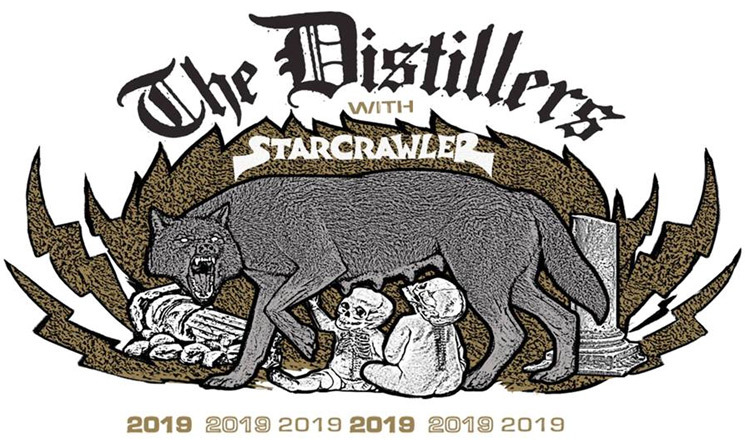 The Distillers have been promising to return with a new album in 2019, and while we've yet to get any firm details on that, Brody Dalle and co. have just rolled out a North American tour. The trek will kick off in May, hitting up a string of U.S. cities. Along the way, the band will also play not one but two Toronto shows on May 25 and 26. You can see the full schedule down below. As recently reported, the band broke a 15-year silence with the release of two new songs. Those tracks, "Man vs. Magnet" and "Blood in Gutters," will now be pressed as a 7-inch courtesy of Jack White's Third Man Records on Valentine's Day (yes, that's February 14). You can pre-order the record here.